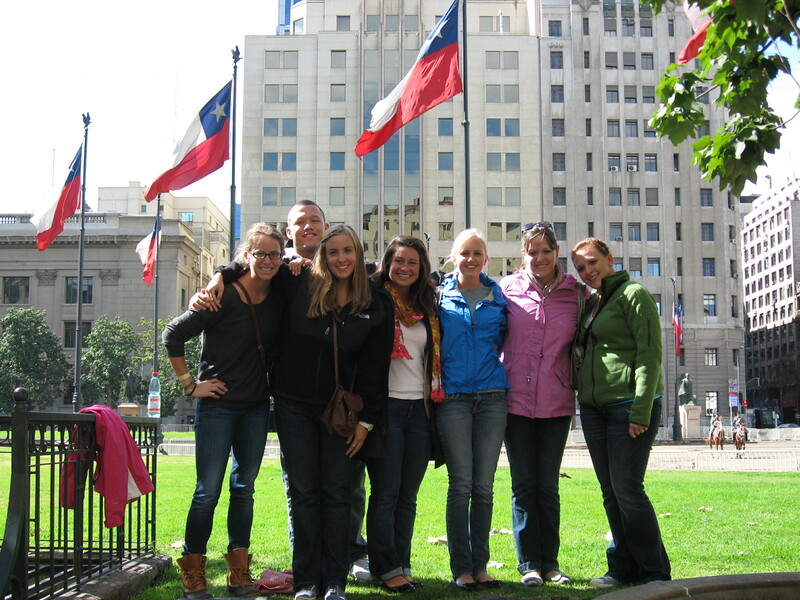 Dr. Félix Vázquez is directing College of Charleston’s Study Abroad Program in Santiago, Chile with the following seven students: Brieanna Winkelmann, Jocelyn Moratzka, Katie Whiting, Ellis Lincoln, Juliana Weathers, Jeremy Lopez and Emily Gooding. 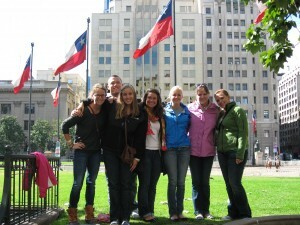 Students will spend the entire fall 2011 semester at the University of Diego Portales taking classes with Chilean professors and Dr. Vázquez. produced in and on Africa so complex? sense that it will equip them to live in their socio-political reality? division in the production of knowledge on and from Africa. regimes that make the debate over CAS so complex. aporia or profound paradox peculiar to that regime. exploration of it, contaminated by the language of the colonial archive. to do so works both within and against Western constructions of knowledge. Africanised university with an Africanised curriculum. departs from and uses the very assumptions of that modernity against itself. in terms of the politics of the nation-state. Africa will have a second life in technology-based imagined communities. that they belong in the world. universal about my existence. And herein lies the aporia of belonging. communities all over the world and throughout history. understanding what is universal about it. engages the politics of recollection, sovereignty and the cosmopolitan. Africa Day because every day will be Africa Day. The winner will be announced on November 10 during the awards ceremony at 7pm at the College of Charleston. CofC’s and The Citadel’s Chapters of Sigma Delta Pi, the National Collegiate Hispanic Honor Society, are co-organizers/sponsors of this program. Professor Ben Fraser’s book Henri Lefebvre and the Spanish Urban Experience has been published by Bucknell University Press. Professor Maricela Villalobos, Adjunct Professor of Spanish, obtained her ATA Certification “for Translation from English into Spanish” effective July 12, 2011. Visit Hispanic Studies’ New Facebook Page! Visit Hispanic Studies and click “Like” at http://www.facebook.com/CofCHispanicStudies.